Uptrend Productions has been serving satisfied clients in the Dallas Fort Worth Metroplex area for 7 years. We offer professional video production services for all your business needs. Promote your business to potential customers using video! These are 30-60 second ads summarizing your business and services to future clients. These videos give customers pertinent information on the topics they’re interested in, all while advertising your brand. 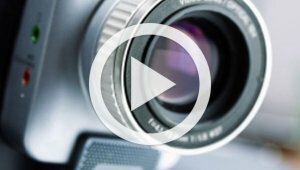 Often called “How To Videos”, these are some of the most effective ways to drive traffic to your website. Videos don’t have to stay grounded! Tell your story in the air with our video drones. Highlight a specific selling point on individual products, services or a promotion to convert your customer’s interest into sales. People watch an average of 4 hours of TV a day. That’s over an hour of commercials. Get ahead of your competition by broadcasting your brand to specific markets. Be top of mind with memorable TV commercials that create a big impact on your potential customers’ purchasing decision. Video is the best teacher. We create online tutorials, interactive materials and business training videos. Our philosophy: Educate and Entertain! Lower the cost of job training and HR orientation by creating one message for everyone. Pay for the video once and play it as many times as you need. Are your clients tired of flipping through dozens of photos of houses? What if they could sit back and watch a video tour of your property? We put the Creative into your marketing strategy.